The verses below reportedly were written on the wall of Mother Teresa’s home for children in Calcutta, India, and are widely attributed to her. Some sources say that the words below were written on the wall in Mother Teresa’s own room. 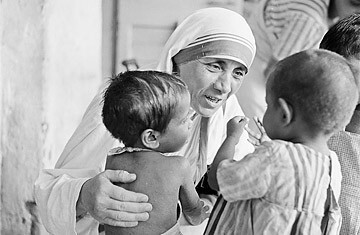 In any case, their association with Mother Teresa and the Missionaries of Charity has made them popular worldwide, expressing as they do, the spirit in which they lived their lives. These are great, encouraging words and thought s to live by. My hope is that they touch your heart like they did mine!